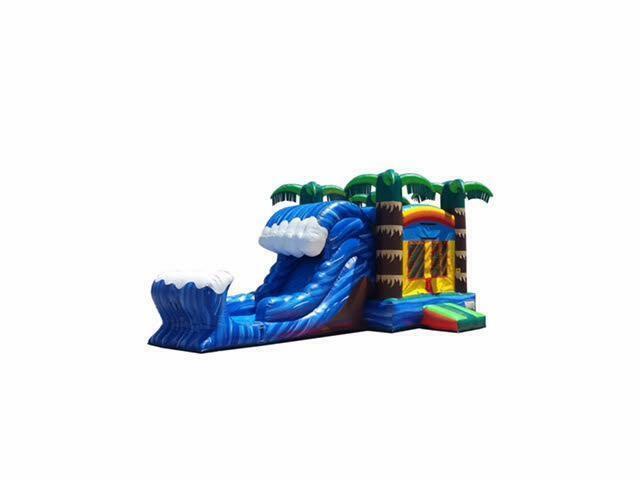 This WILD WAVE Tropical Combo inlcludes a basketbal hoop and a huge 15x15 jump area. This tropical wave themed combo will have you sliding and bouncing in a island paradise. Bounce, hoop, and slide this one has it all. This Combo will bring the WOW FACTOR to any event and leave your guest as happy as can be. This combo is also available in a wet option with pool attachment. 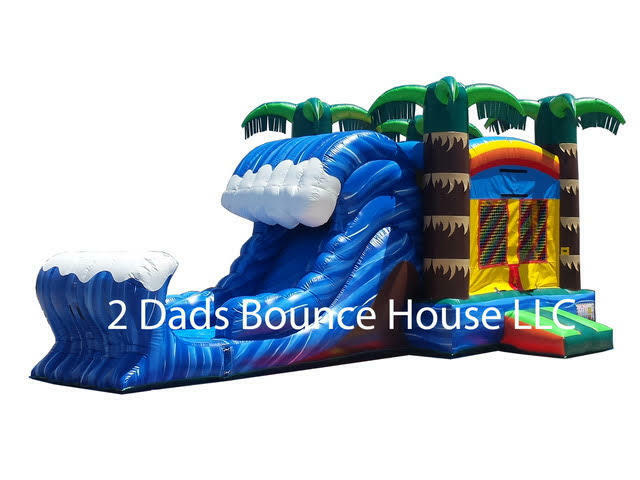 Check out our "Waterslides" tab to choose this option.